At Bolton Vision Centre, Bolton’s premier Optometry Clinic, we feel that quality eye care is the result of an ongoing partnership between the doctor and the patient. 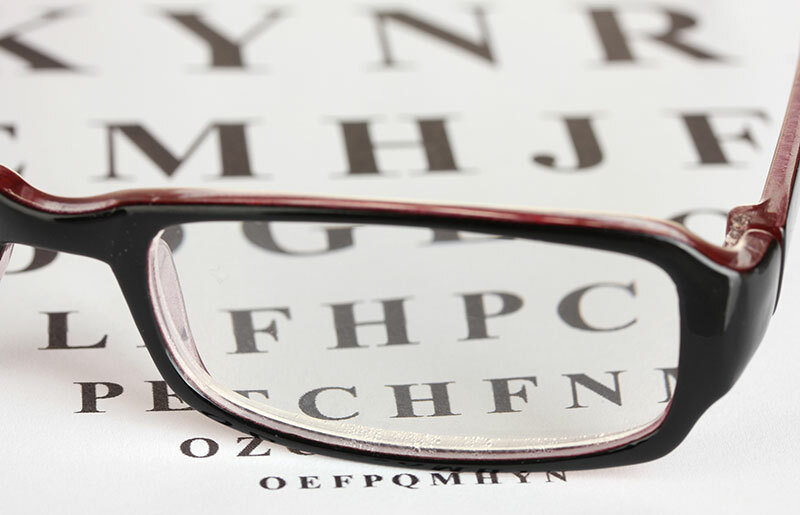 We will take the time to listen to your eye care concerns, explain the results of your eye exam, and help you determine the best vision solutions for your needs in our state-of-the-art optometry clinic. We encourage you to ask questions and share any concerns you may have in regards to your vision or health. Our vision and our visual demands continue to change over our lifetime. Our eye care specialists understand how these changes affect your vision and are able to discuss the benefits and features of different corrective lenses, contacts and surgery to help you make the best choice for your eyesight. Our Optometrists work closely with our team of kind and courteous staff. We like to think of our office as a family, and the moment you call to book an appointment with an optometrist or enter our eye clinic in Bolton you will be greeted warmly. All of our staff members are committed to providing you with superior products and service. They have the knowledge and training to guide you through our eye exam pretesting and will be happy to help you make the best choices for your eyewear needs. Bolton Vision Centre was founded in 1994 by Dr. Bettio and Dr. Malchuk. Both Dr. Bettio and Dr. Malchuk graduated from The School of Optometry in Waterloo in 1993. After one year of working as associates they decided to open their practice in Bolton where they have continued to provide quality eye care for over 20 years. Dr. Bettio is from Toronto, Ontario. He attended the University of Waterloo and completed his Honours Bachelor of Science degree before being accepted to the Doctor of Optometry program at the University of Waterloo. In 1993 Dr. Bettio graduated from the University Of Waterloo School Of Optometry. He traveled to Tarpon Springs Florida to complete his externship at the renowned St. Lukes Cataract and Laser Institute. During this time he worked closely with the surgeons and provided pre and post-operative care for their patients. He is TPA certified and a member of the Canadian Association of Optometrists and the Ontario Association of Optometrists. Dr. Bettio is fluent in Italian and currently resides in Caledon Ontario with his wife and three children. When not at the office Dr. Bettio enjoys fishing, golfing and taking long rides on his motorcycle. Dr. Malchuk was born and raised in Thunder Bay, Ontario. She attended the University of Manitoba where she completed her Bachelor of Science degree. She then moved to Waterloo, Ontario where she was accepted into the University of Waterloo’s Doctor of Optometry program. In 1993 Dr. Malchuk graduated from the University Of Waterloo School Of Optometry and continued to expand her knowledge of ocular disease and treatment by completing an externship at the OMNI Vision Clinic in Baltimore, Maryland. She is TPA certified and is a member of the Canadian Association of Optometrists and the Ontario Association of Optometrists. Dr. Malchuk has a special interest in children’s eye care and the prevention of vision related learning disorders. Currently, Dr. Malchuk resides in Caledon with her husband and three children. When not practicing Optometry, she enjoys watching her children play hockey and soccer. In the winter she enjoys skiing with her family. Dr Vanesh Kathiravelu joined Bolton Vision Centre in 2007. He grew up in Mississauga and attended the University Of Toronto for his undergraduate studies. Upon completing his Bachelor of Science degree he relocated to Chicago to study optometry at the Illinois College of Optometry and graduated in 2007. While in the U.S, he completed his internship at the Atlantic Eye Institute in Florida and gained extensive knowledge of ocular disease treatment and management. He then furthered his clinical experience by interning at the Illinois Eye Institute, the Newington Veterans Affairs Hospital in Connecticut and the Detroit Veterans Affairs Hospital/Kresgie Eye Institute in Michigan. Dr. Kathiravelu currently serves as a member of the College of Optometrists of Ontario’s Registration Committee. He is also a trained coach for the College’s Quality Assurance Program which was developed to ensure that the Optometric profession meets a high standard of quality in Ontario. In addition, Dr Kathiravelu strongly believes in giving back to the community and volunteers his time to provide comprehensive Optometric care to street-involved and homeless youth at the Evergreen Health Centre in Toronto. We are your premium eye clinic and have been proudly servicing clients from Bolton, Caledon, Caledon East, Nobleton, Palgrave, Kleinburg, Orangeville, Brampton, Vaughan and surrounding areas, since 1994. If you are looking for an Eye Doctor, get in touch by visiting our contact page and filling out the form or call us at (905) 951-3081.